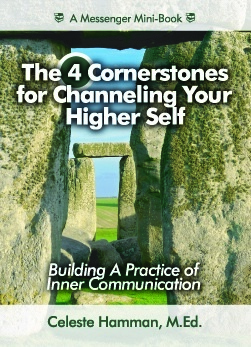 My goal is to develop a wide range of products to facilitate and stimulate your personal discovery of opening your channel to your Higher Self. You’ll find resources that fit your learning style whether it be visual, auditory or kinesthetic. Journal prompts help you mine the riches from your communication channel. Simple, integrative action steps bring your practice into daily life habits. Guided audio meditations are available to deepen your experiences. Audio recordings are available in downloadable MP3 offerings. 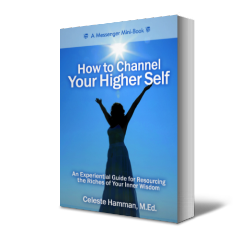 You can listen to a sample recording on the home, audio learning, and Higher Consciousness Coaching pages. Guided experiential exercises and meditations are a powerful, yet easy way to relax into an allowing state that opens your channel to your Higher Self. 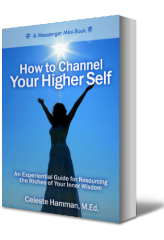 Concise, effective email courses speak to that inner calling to help evolve our world through your own evolution using guided meditations and calls to action that support daily habits of partnering with your Higher Self. Learn more.